Dice Dollar Business Finance PowerPoint Templates And PowerPoint Themes 1012-"Microsoft Powerpoint Templates and Background with dice dollar business" -Dice Dollar Business Finance PowerPoint Templates And PowerPoint Themes 1012-This PowerPoint template can be used for presentations relating to-"Dice dollar business, money, finance, sports, business, cubes" Fight fires with our Dice Dollar Business Finance PowerPoint Templates And PowerPoint Themes 1012. Try us out and see what a difference our templates make. 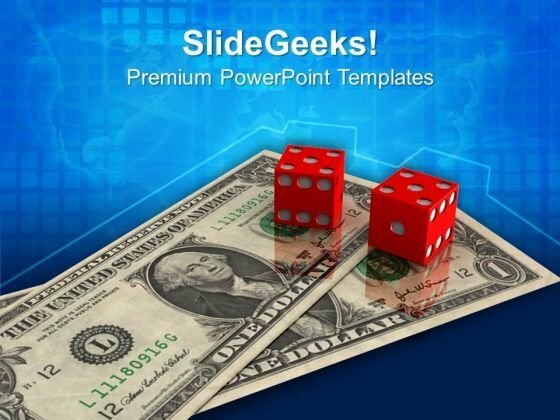 Beam up your ideam with our Dice Dollar Business Finance PowerPoint Templates And PowerPoint Themes 1012. You will come out on top.